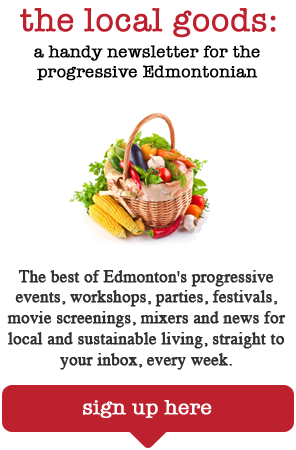 The Local Good has a pretty engaged presence on Twitter — as of this writing, @localgoodyeg has 5900 followers and was the 9th most Re-Tweeted account in all of Edmonton in 2013. That’s very cool — I’m so happy to see that our local followers find our content useful and engaging. After all, that’s why The Local Good was started: to create an engaged community where we can share information about living a more simple, sustainable, and green lifestyle. Looks like WestWorld magazine liked our content, too! They printed two of our green packing tips for moving in the Spring 2014 issue! If you’d like to read the entire issue, you can download the digital edition for FREE on your iPad. What are some of your tips for green packing/moving/storage? Share them with us and The Local Good community in the comments section below!